The rebels said the deal was brokered by Russia and would allow both fighters and civilians in opposition areas to settle their status with the government under Moscow's protection. South Syrian rebels said on Friday they had agreed to cease fire and start handing over heavy weapons in a deal mediated by Russia that will restore state sovereignty over areas they hold in Deraa province after a fierce government offensive. 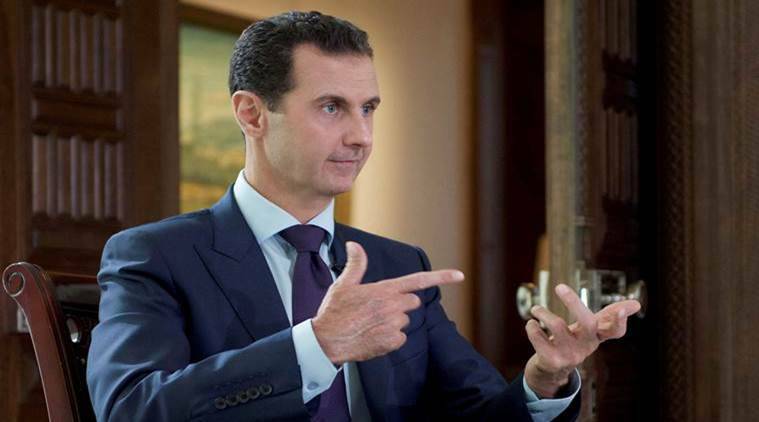 A commander in the regional alliance supporting President Bashar al-Assad had earlier said government forces were advancing through rebel territory along Syria’s frontier with Jordan and would soon reach the countries’ main border crossing. With the help of Russian air power, the government’s assault has swept into swathes of Deraa over the past two weeks, shrinking one of Syria’s last rebel strongholds. The rebels said the deal was brokered by Russia and would allow both fighters and civilians in opposition areas to settle their status with the government under Moscow’s protection. Rebels who did not wish to come back under Assad’s rule would leave for the insurgent stronghold in northwest Syria, they said. The commander in the pro-Assad alliance told Reuters the army and its allies had seized a string of villages and reached the border. “Within a short period of time, they will reach the (Nassib) crossing,” the non-Syrian commander said, speaking on condition of anonymity. Several witnesses along the Jordan border fence with Syria said they spotted armoured vehicles and a tank with a Russian flag heading to the Nassib crossing, a vital trade artery. Rebels and a jihadist group that has pledged allegiance to Islamic State also hold part of Quneitra province in the southwest along the border with the Israeli-occupied Golan. The pro-Assad alliance commander said an Israeli air strike had hit a Syrian village in Quneitra on Friday, causing no casualties.